"Emma's debut EP "Life Is Self Taught" was recorded completely off her own back. Entirely acoustic, it comprises all original songs. I have to say the recording quality and mix on Emma's EP is excellent. Not often something you can say about home recordings. So if you want to hear a young up and coming Beestonian singer songwriter (good guitarist as well!) 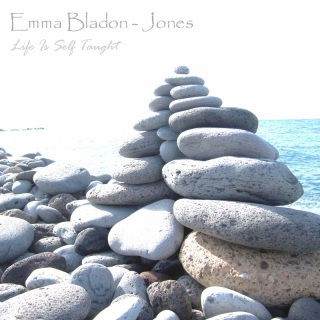 you could do no better than checking out Emma Bladon Jones - her EP is available online (emmabladonjones.co.uk) it also comes on a snazzy looking vinyl effect CD, what's not to like?" A physical copy of my debut EP.